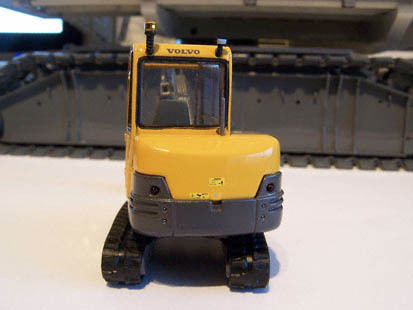 A small but very detailed model is made by Motorart: the Volvo EC45. 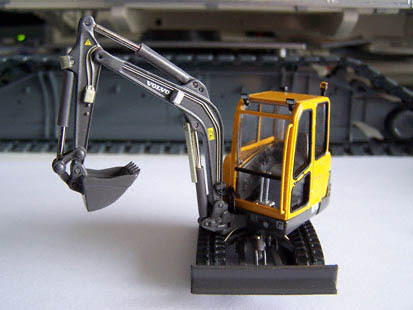 Let's take a quick tour around this model. 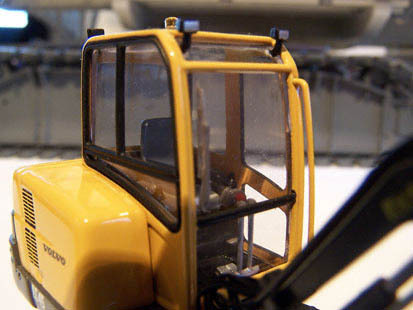 Numerous details in this picture: full hydraulic line detail, working lights and warning decals. Under the front window the type plate and a decal about the noise level. And of course a fully detailed full colour cab interior. That grey stripe on the front window is a very flimsy detailed wiper. On the rear of the machine we see a rotating beacon, warning decals and red tail lights. 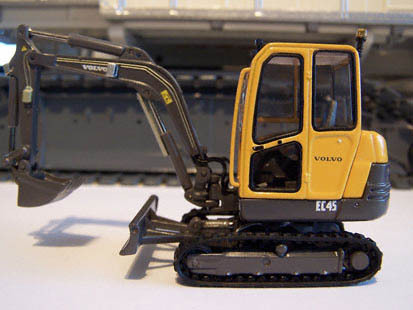 All small details make this a very fragile model, but it's a must-have in any collection.